As winter has set in the tremendous tune changes from I am so hot and thirsty to I am so cold and need to stay warm . For some even though the weather has changed the concern not for water but clean water without lead that has poisoned there families . This being a travesty in itself this is not what this articles about because although there elected officials let them down I am leaning towards looking at the bigger picture . Water conservation programs are great and have severed there purpose but although they have been drilled into our heads we need new Ideas these Ideas are best served with reclaiming what we already have . The reason for looking at the bigger picture is simple , If your neighbor has a water problem eventually it sure to trickle or not trickle your way being most of our water and tributaries are connected . 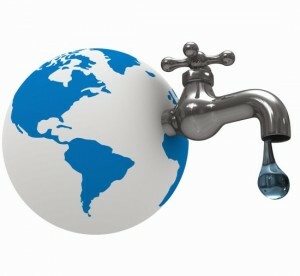 Everyone in the world is facing similar water issues making reclaiming what water we have in our grasp a world concern . Most could argue not I we have plenty here or that is a California problem or whom ever is in the midst of a terrible drought . Sure enough this may be an adequate argument for some if you grow all your own products and supply your own products . Sure enough there are certain parts of the American government that would go right along with this Idea of it is there problem not ours . The reason I say this is America at least at this point is mainly an import country we even export to import . For this example please see the following article straight out of the archives of grephaxs I give you FOOD AND THE FIGURATIVE DOLLAR . Almost every industry in America imports there product claiming to be an American company but most often than not the product is made in another country and then just distributed here . If the product is actually assembled here usually the underlying items used to put the product together were made in another country . How dose this work into the governments plains ? Eventually if we are not already to some degree having to import clean watter . This would take the heat off of the ongoing pollution of our own watter and tributaries kind of like out of site out of mind . How is this all occurring threw fracking please see the following article straight out of the archives of grephaxs I give you HEALTH STUDY FRACKING . we already have the companies and machinery to melt the snow but there is no reclaiming going on . As winter is upon us some maybe celebrating do to the fact of the blizzard of 2016 thinking yes the drought is over our problems with water has ended . This maybe true in some areas but most likely not most of this snow will be run off our arbitrarily melted for clearing our new road ways . So what new Ideas were out there well please see the following article straight out of the archives of grephaxs I give you DROUGHT CALIFORNIA AND THE WORLD . The second Idea specifically deals with California and the draining the Mojave desert utilizing a water pipeline . That is right there is a gentlemen that owns part of the Mojave desert and owns water rights and claims he has enough water to supply California with there water needs without affecting the dessert . I find this hard to believe and am not sure if the math or consequence this type of project might bring . For this straight out of the archives of wired I give you DRAINING THE MOJAVE DESERT . So as I was thinking further I pondered the question what could cause a lack of retention of the water ways we already have ? I came up with two possible conclusions . One being land change most likely of a natural effect and two population , as our cities and towns grow we develop new roads buildings and different infrastructures . During these two events a couple of things occur if the land changes through natural or from a man made event the run off of water changes . While we add new roads and structures during the winter when it snows these areas must be cleared for safety in order to keep the flow of traffic or what have you up and running . During times of snow removal depending on the amount sometimes areas even run out of space to put the snow so they resort to just melting the snow . Please see the following article straight out of the archives of wired I give you MELTING THE BLIZZARD OF 2016 . 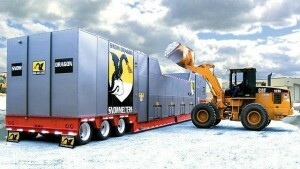 Also see this site straight out of the archives of snowdragonmelters I give the place to buy a SNOW MELTER . Please see the following video on melting snow . Although the water is placed into a drainage area it is my understanding from the wired article is that not only is the snow melted but brought to a specific temperature . The thought I had for the specific rise in temperature of the water was for two reasons one so the water dose not freeze again and two in order to thaw out any possible frozen pipelines . Possibly causing the steam coming from sewer vents in a city during colder weather ( although this is just a perspective thought ) . My new perspective Idea would be to take this snow that we have no were to put and use it as reclaimed water and transport it to places in need . 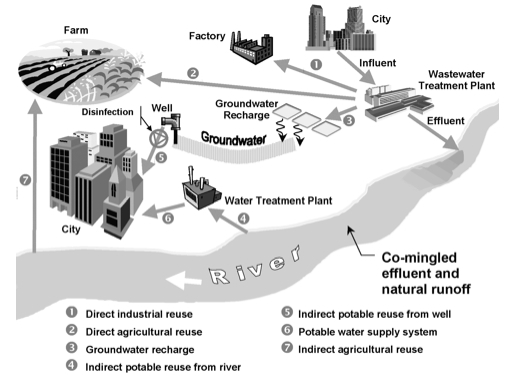 Please see the following video on desalinization of water . There are a few things that are for sure here water has become a stressed high demand product and the creation of such a reclaiming program would bring jobs . And along with creating these jobs we would be saving lives and improving the livelihood of food growth and live stock . As well I believe our emergency management teams should be well prepared with such reclaimed water in order for times of emergencies . It sounds a bit far fetched but think of this the President Of The United States has at his disposal many gallons of gas encase those areas in our society become stressed . In times wen gas prices reach an area that would run prices so high it would not be affordable and bring the country to a screeching halt he has the ability to release the gas or oil to keep prices in check . The same could be done with watter . There are many ways to Reclaim water and we spend a lot of time going to different countries showing them how to get clean water and become nutritionally inclined now it is time to save our selves . Have a nice day on the wave of RECLAIMING OUR WATER I am out .